But Chomat stressed that was just part of the equation. “The other objective was to train a distribution system of agents that would be different from anything else out there,” he said. In 2008, Karisma created the Gourmet Inclusive Vacation Consultants (GIVC) program to attract these high-caliber travel advisors, who are paid 21 percent commissions. Going forward, Karisma will need that travel agent distribution system more than ever, as it significantly expands its reach beyond Mexico’s Riviera Maya. In all, the company plans to add nine resorts to its portfolio of 26 properties, virtually doubling its room count from 4,592 to 9,424 by 2021. The company plans to debut three properties in Jamaica, two in the Dominican Republic, and one each in Antigua and Huatulco, Mexico. The first of the three Jamaican hotels, an Azul Beach-branded resort in Negril, is scheduled to open its doors in May 2017. The first of the Dominican properties, Sensimar Cap Cana, is slated to come online in 2018. The Antigua property is slated to debut in 2018, and ground is expected to be broken on El Dorado Huatulco in 2017. Plans are also underway for a second Nickelodeon property, the Nickelodeon Rivera Maya, which is set to come online in winter 2018. Additionally, Karisma is scheduled to break ground on eight family-friendly overwater bungalows at Generations Riviera Maya in 2018. Beyond those expansion plans, Karisma recently forged a partnership with Margaritaville to create the all-inclusive Margaritaville resorts throughout the Caribbean. A groundbreaking for the resort is scheduled for 2017, with a launch at a yet-to-be-disclosed location in 2018. However, it’s not as though Karisma rested on its laurels last year. 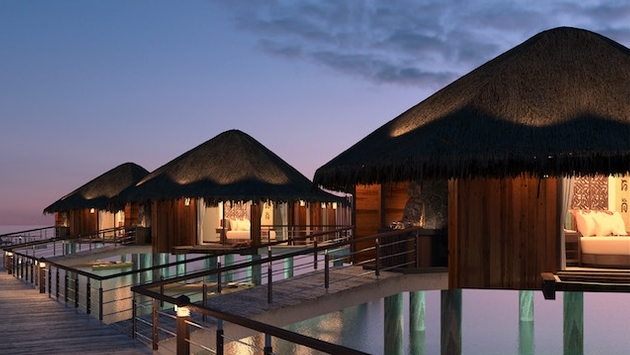 In 2016, it unveiled 30 overwater bungalows, or palafitos, at El Dorado Maroma in Riviera Maya and debuted the Nickelodeon Hotels & Resorts Punta Cana. Chomat said the response to the palafitos, which are exclusively sold by GIVC agents, has been nothing short of phenomenal. “We’re seeing more travelers looking at our product who didn’t consider us before,” he said. Response to the Nickelodeon resort has also been extremely positive, Chomat said. 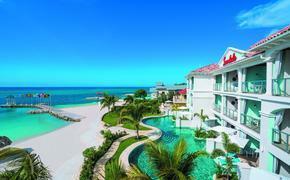 The property offers adults-only dining options, a luxury spa and such activities as yoga, snorkeling and tennis. For kids, there’s the Nickelodeon Experience, which features such activities as meet-and-greets with Nickelodeon characters, including SpongeBob SquarePants, Dora the Explorer and the Mutant Ninja Turtles. Reiterating its commitment to introduce more families and multigenerational travelers to its properties, Karisma Hotels & Resorts unveiled a “Grandparents Stay Free” promotion at Generations Riviera Maya earlier this year. Guests booking two-bedroom suites will receive a complimentary one-bedroom suite for grandparents 55 and older. The offer applies to new bookings and must be redeemed by a guest 55 or older. Adults staying at Generations have access to all the facilities and amenities at the adults-only El Dorado Royale and El Dorado Casitas Royale, which adjoin the resort. Karisma’s Nickelodeon and Azul Beach brands also cater to families, and the Nickelodeon Experience is available at Azul resorts. Azul properties offer guaranteed connecting suites and those that can accommodate two adults and three young children. “We’re trying to make sure when families go on vacation at our hotels they have the ability to be together,” said Mandy Chomat, Karisma’s executive vice president. The Generations, Nickelodeon and Azul brands also provide families with strollers, cribs, bottle sterilizers, baby monitors, bottle warmers and highchairs – and Gerber baby food is available in restaurants and through room service. “If your clients are thinking of a family vacation, there’s a big difference between a family vacation with us and a family vacation at other resorts,” Chomat said.